Dr. Chadbourne continues his research of the world of insects. We've had worms, ants and termites, and now we are into butterflies. 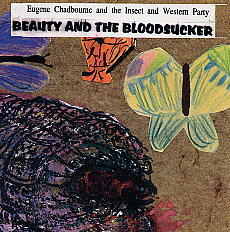 Fourteen musicians are running around Dr. Chadbourne's Butterfly Garden waving nets and performing fifteen pieces, recorded and spliced together by the Doctor himself.